Sometimes it's kind of fun to look at a friend's older relatives, to guess how he'll age. 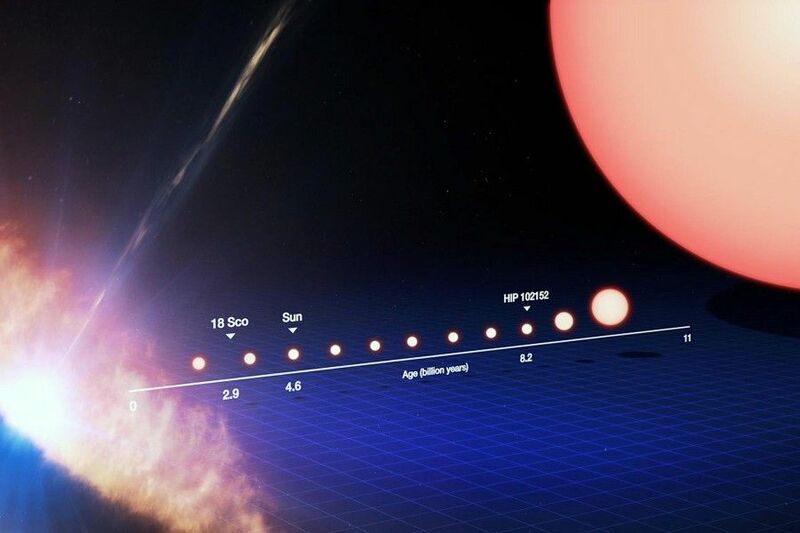 In a new study, astronomers have done something like that by examining an 8.2 billion-year-old star for clues as to what our own 4.6 billion-year-old sun will be like in the future. The astronomers also examined the 2.9 billion-year-old, sun-like star 18 Scorpii to gather insight into what our own sun might've looked like at that age. The two stars allowed astronomers to guess how the chemical content of the sun changes over time. 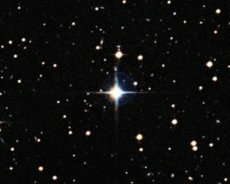 Meanwhile, a look at the older star's chemical composition suggests it may host a solar system of rocky planets, just like the sun does. The older and younger stars are called "solar twins" because of their similarity to Earth's sun. Astronomers have found a handful of solar twins in the past. They have similar masses, temperatures and chemical compositions as the sun. HIP 102152, the older star in this study, is the oldest solar twin found yet. It also has a chemical composition that's the most like the Earth's of any solar twin ever discovered. An international team of astronomers studied 18 Scorpii and HIP 102152 using the Very Large Telescope at the European Southern Observatory's Cerro Paranal, Chile, facility. The scientists used a spectrograph to examine the colors of light that the stars emit. From the light, they calculated the chemical compositions and other properties of the stars. They found that, like the sun, HIP 102152 has low amounts of elements that are common in meteors and the Earth. That suggests that in the star's past, rocky planets locked up those elements as they formed in a dust ring around the star. Today, HIP 102152 may be surrounded by terrestrial (as opposed to gas giant) planets. Any such planets might seem uncomfortably cold to Earthlings, however. HIP 102152 is 54 degrees Kelvin, or more than 360 degrees Fahrenheit, cooler than the sun. The astronomers' chemical studies also bolstered the hypothesis that sun-like stars lose lithium as they age. Lithium, like hydrogen and helium, is an element that was created at the Big Bang. Astronomers had previously noticed that younger solar twins had more lithium than the sun, but weren't sure if the stars' lithium content had to do with their age. "We have found that HIP 102152 has very low levels of lithium," Tala Wanda Monroe, an astronomer at the University of São Paulo in Brazil, said in a statement. "We can now be certain that stars somehow destroy their lithium as they age and that the sun's lithium content appears to be normal for its age." Scientists aren't sure yet how a star destroys its own lithium. Monroe and her colleagues will publish their work in the journal Astrophysical Journal Letters.